AN AWESOME SOURCE OF ANTI-OXIDANTS, BUT POLLUTED WITH SODIUM BENZOATE TO PREVENT MOLD. Yes, MonaVie! Excellent product for antioxidants. It’s loaded with them, and antioxidants are of major importance to our health and longevity! I have many friends that are top producers in the marketing company for the product, and they are doing very well in it. Being the health fanatic that I am (most of the time), I seemed an ideal fit for this product in their eyes. When I was initially approached to market it to my growing network of health enthusiasts, I took a good look at it. I must have had a target on my back for MonaVie marketers, because in the space of about two years I ended up with several bottles of it – literally gallons of it – in the process of being prospected to sell it. So why after being given gallons of MonaVie by friends and associates as samples, didn’t I get involved if I saw the product as a great source of antioxidants? I loved the taste. I loved the benefits of it. I even liked the marketing structure for it. Here is what my research discovered. My decision not to promote MonaVie came down to one simple truth about it. 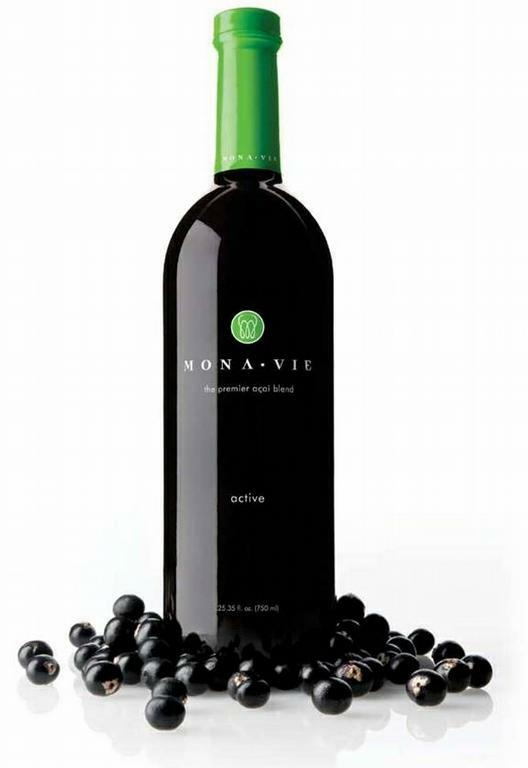 MonaVie uses the preservative Sodium Benzoate. Sodium Benzoate is a very very bad preservative found in a wide range of products that has been linked to all sorts of health issues. Sodium benzoate is a preservative in such food and drink products as fruit juice, soft drinks, coffee flavoring syrups, as well as a variety of condiments. Any product that is meant to have a shelf life of more than a few weeks has a mold inhibitor in it. 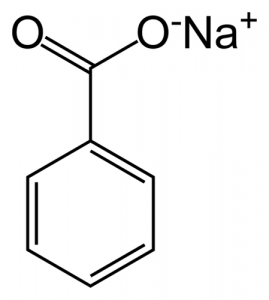 Sodium Benzoate is a mold inhibitor, and the most widely used mold inhibitor, because it is the cheapest ‘preservative’ on the market to use for this. Although the FDA has previously classified sodium benzoate as a safe preservative, this classification is now being shown to be something far less than healthy for consumption. While benzoic acid is found naturally in low levels in many fruits, the sodium benzoate listed on a product’s label is synthesized in a lab. Tests done by Peter Piper, a professor of molecular biology and biotechnology, showed the impact of sodium benzoate on living yeast cells. His research and testing found that benzoate was damaging an important area of DNA. Research also has shown that sodium benzoate forms a chemical known as benzene when in the presence of vitamin C. This is not a good thing for living organisms – especially humans, since benzene not only causes damage to our DNA, but it is also a known carcinogen (causes cancer). In a nutshell, sodium benzoate chokes out your body’s nutrients at the DNA cellular level by depriving mitochondria of oxygen. In some instances, this sort of damaging affect can completely shut them down. Just as humans need oxygen to breathe, cells need oxygen to function properly and to fight off infection, including cancer. In a nutshell, it is being validated as a chemical that plays a significant role in a variety of diseases due to its ability to damage DNA. Sodium benzoate is also being made out to be a culprit on its affect on children in that more and more evidence is pointing to it, along with artificial food colorings, to cause children with ADHD to be more hyperactive. 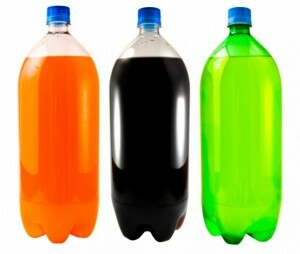 ALL SODAS HAVE SODIUM BENZOATE IN THEM TO PREVENT MOLD. As you can imagine, this can be a particular problem for kids who consume soft drinks on a regular basis since most carbonated beverages have sodium benzoate as a preservative. Because of increasing awareness of this problem, Coca Cola has plans to remove this unhealthy preservative from its soft drink products this year. If you want to do more research on sodium benzoate, there is plenty of documentation to be found online. If you have concerns about the affect of sodium benzoate on your health or the health of your family, I encourage you to research it if you feel you want to know the health hazards inherent with the consumption of it in your diet. I have been in MonaVie for about two years and while the money has been very good, I am realizing that there are always drawbacks to selling consumable products when I comes to purity. This is a great article but I do t think it will have any affect on my continuing to sell it, as I am still convinced that the benefits of it to most adults outweigh the detractors.